Hydro excavation is a new form of digging. More efficient and faster than mechanical removal of soil for septic tanks, sewer lines, and trenches for other utilities, it’s becoming standard procedure when you need fast and accurate holes dug in a hurry. Next time you have an excavation project, forego the backhoe. 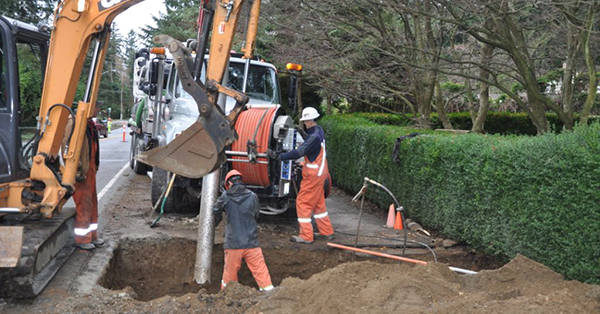 Contact Edenflo pumping at 604-575-1414 and find out how hydro excavation can help you get it done, quickly and efficiently. This entry was posted in Hydro Excavation and Flushing and tagged benefits of hydro excavation, commercial pump truck services, hydro excavation abbotsford, hydro excavation BC, hydro excavation commercial, Hydro excavation vancouver on August 27, 2015 by Edenflo. We offer topnotch service to Food Service and Production clients, including Grease Trap and Grease Interceptor cleaning and service, as well as food and organic waste disposal. We offer commercial sanitary services, including holding tank and treatment plant service and maintenance, cleaning and maintenance to sewer lines and pumping stations, and commercial vacuum services. This entry was posted in Commercial and Industrial and tagged commercial plumbing contractors, commercial pump truck services, commercial septic vancouver, hydroflushing white rock Hydro jetting, new westminister commercial sanitary, Parking lot drain cleaning, vancouver video line inspection services on August 18, 2015 by Edenflo. If you’re a director or manager of a Strata property, you know that it’s the Corporation’s responsibility to repair and renew all common property and common assets of the corporation, and complete a depreciation report indicating that upcoming work is appropriately planned every three years. When it comes time to think about your sewer, septic, and grease trap systems, you can minimize future problems by enrolling in Edenflo’s preventative maintenance program. It will help you to more accurately forecast costs, and in the long run be more economical. 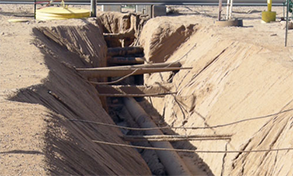 We offer numerous services that, when used together, constitute an effective way to ensure that your storm water and sewer systems operate trouble free in the long run. Sump and catch basin cleaning should be performed regularly to ensure that storm water runoff has a clear route away from your property. Removal of sludge and other foreign materials from your sump system will prolong the life of your pump, ensuring that it’s working when you need it. High Pressure Flushing can remove silty deposits before they cause a problematic backup. It’s a safe procedure that can be performed on lines of any size. Video Line Inspection can be performed to identify problems before they occur, when they’re easiest and most economical to fix. For expert maintenance of your Strata Corporation’s sewer, septic, or grease trap systems, contact Edenflo Pump Truck services. We’ll help you establish a preventive maintenance schedule that will meet the needs of your building. For more information about the services offered by Edenflo, and how they can help you keep the property you manage compliant with Strata reporting requirements, call 604-575-1414 or fill out our online request for service. This entry was posted in Property Maintenance and tagged Catch Basin Cleaning and Maintenance, Catch Basin Cleaning Vancouver, strata property depreciation report, strata property management, strata property preventative maintenance, strata property pump truck services, vancouver hydro flushing, vancouver video line inspection services on August 7, 2015 by Edenflo.